A section of sea bluff collapsed near Tourmaline Surfing Park on Friday, causing no reported injuries or structural damage but prompting lifeguards to close a stretch of beach as a safety precaution against any further landslides. 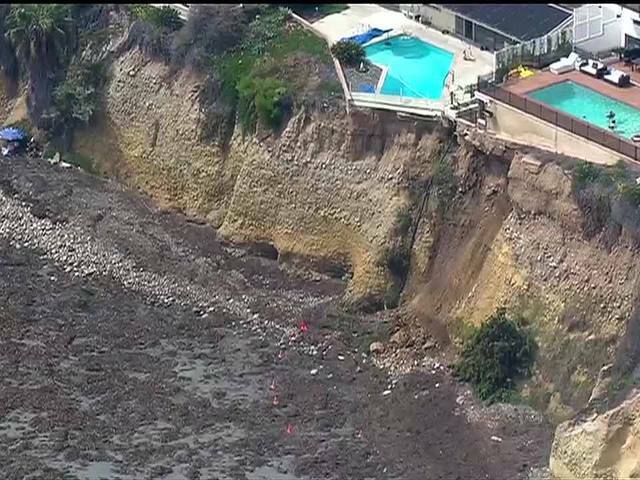 An estimated two tons of dirt and rocks sloughed off the oceanfront cliff in the 400 block of Sea Ridge Drive in La Jolla about 1:30 p.m., according to the San Diego Fire-Rescue Department. Authorities cordoned off a roughly 50- by 50-foot radius of beach around the site of the earth slide and called in a city geologist to survey the area for any lingering hazards, SDFRD Capt. Joe Amador said. 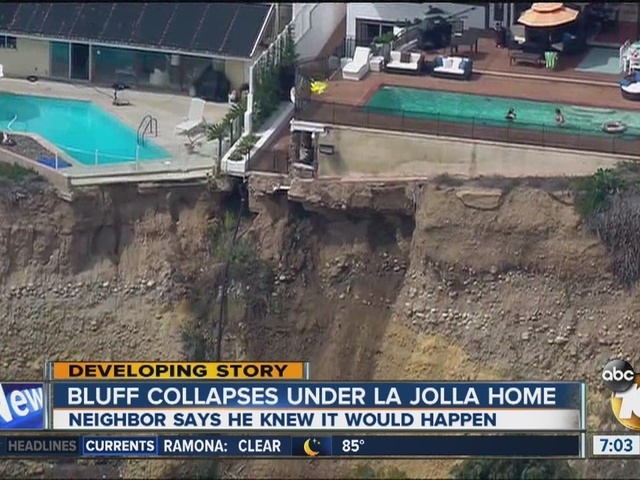 The collapse caused no apparent dangers to homes at the top of the bluff and resulted in no evacuations, the captain said. Sky10 flew overhead earlier this afternoon and spotted people still swimming in a pool above the collapsed area.